Caracal decals CD72013 F15C Air National Guards; Eduard "remove before flight tags" photo-etched parts. 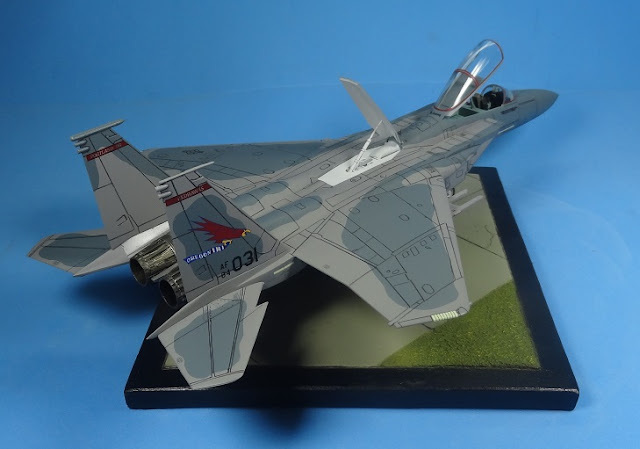 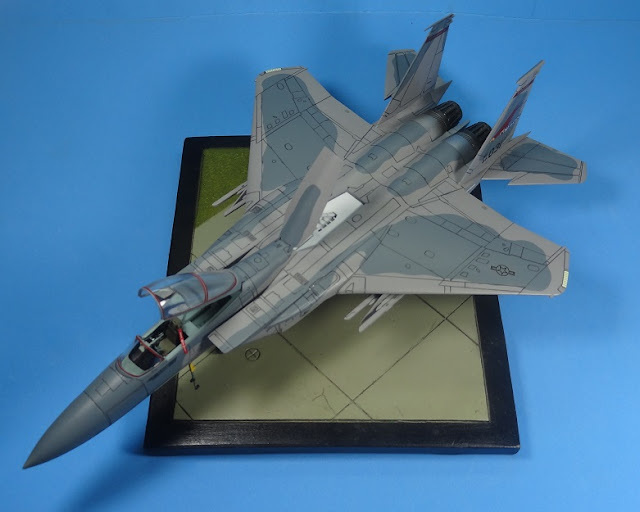 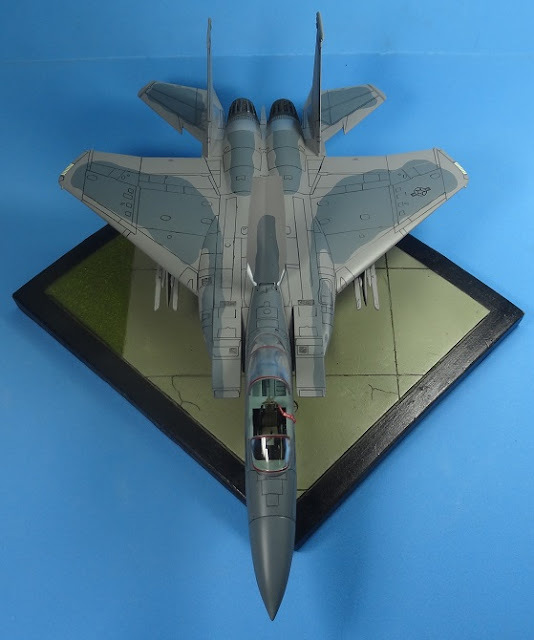 After more then 30 years of modelling, this is my first F15 Eagle in any scale. 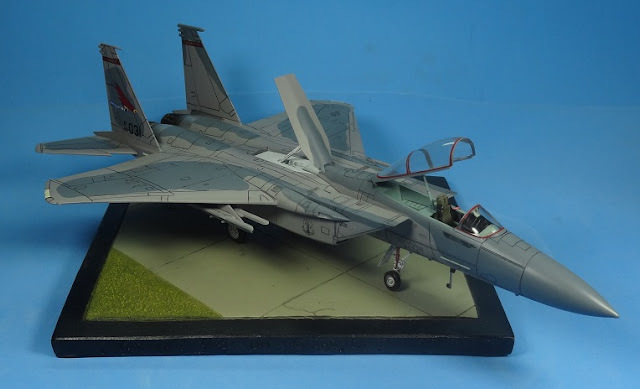 I used teh academy kit because it is inexpensive and already in my stash just waiting to be built. 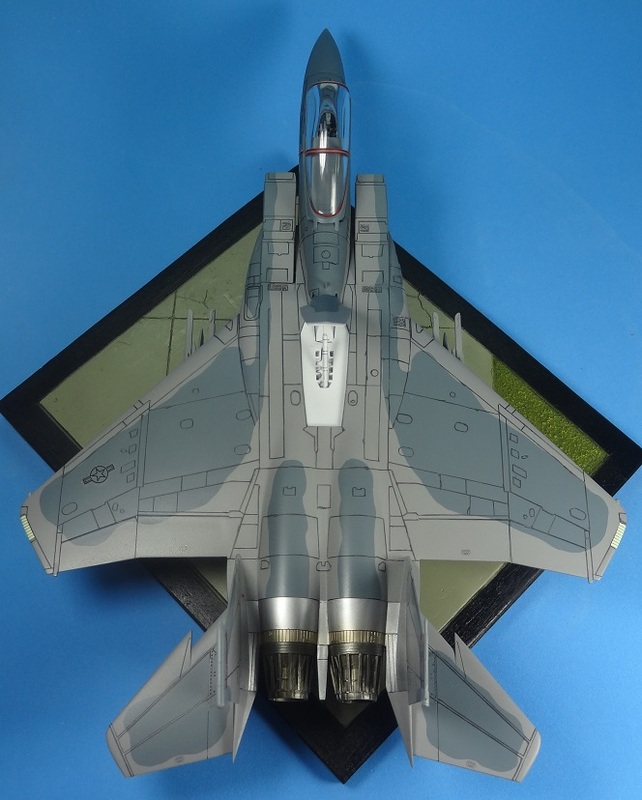 Fit is ok, but academy decided to use the same molds for the single and the double seat versions. This left the kit with some fit issues around the cockpit. 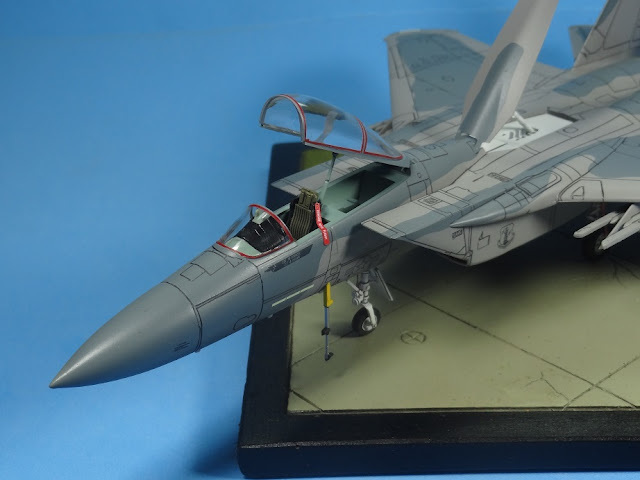 Once this part was solved, the rest of the kit went well. I painted it with tamiya acrylics. 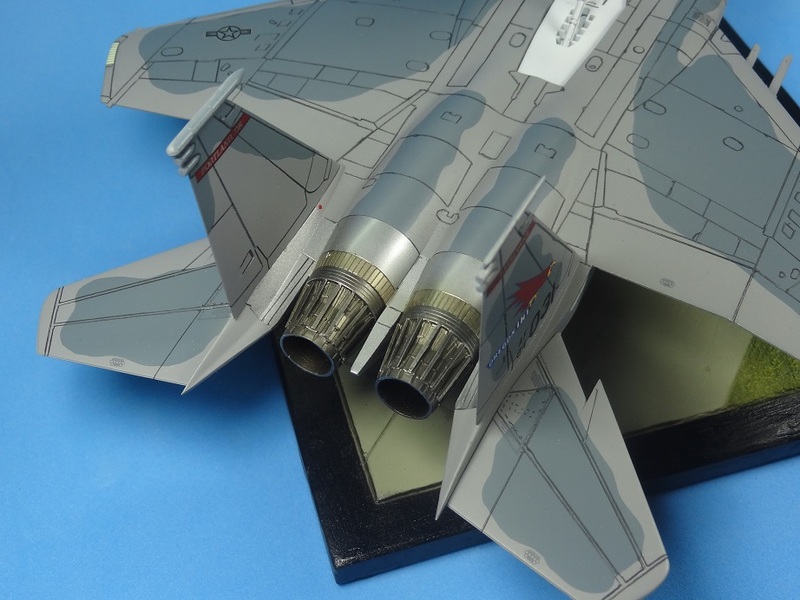 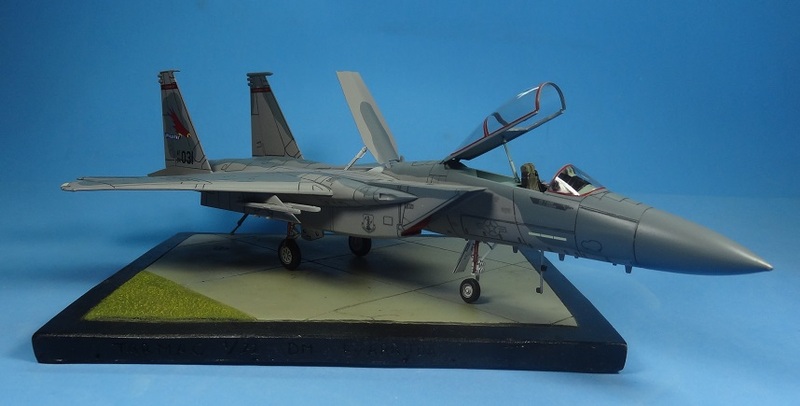 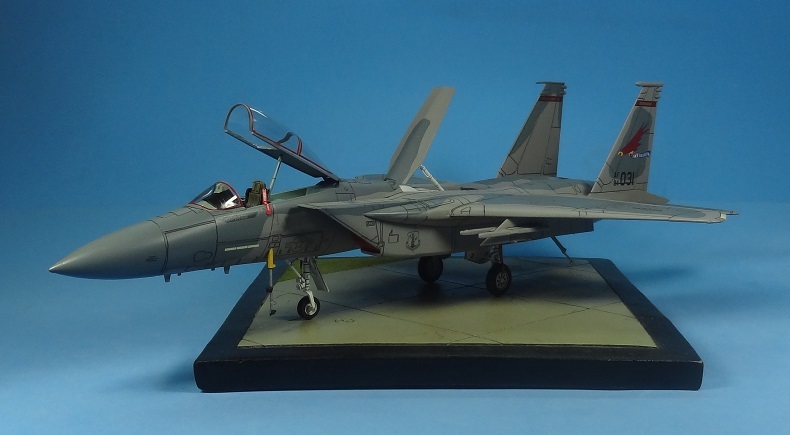 As i had some problems with academy decals before, i decided to go with the Caracal Models set for ANG's F15C. 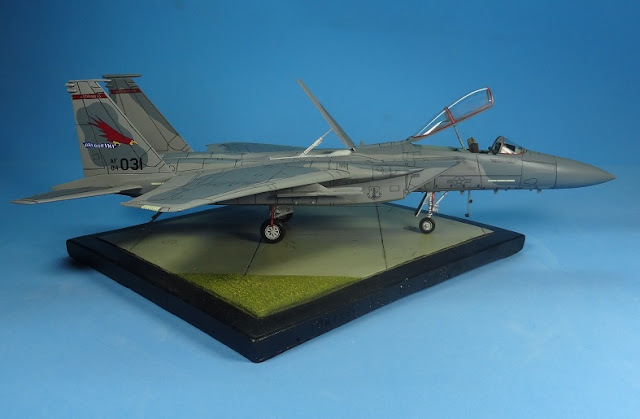 The decals performed very well over a coat of future. 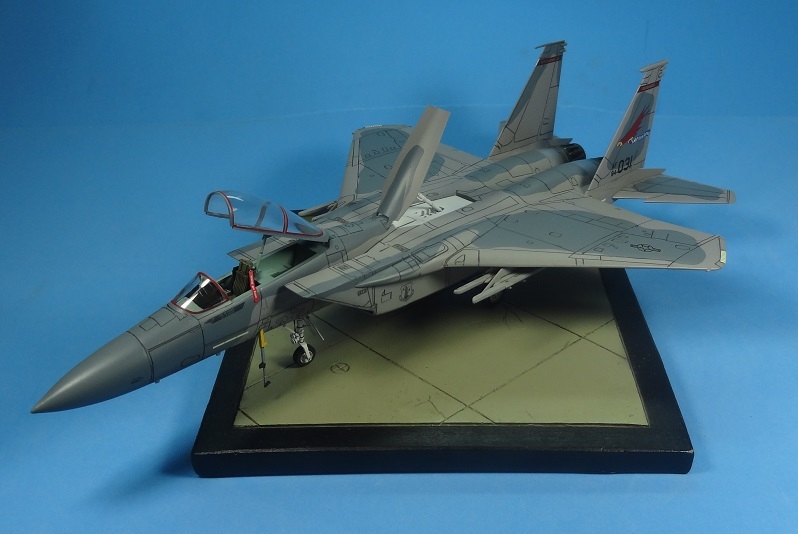 I finished it with Humbrol matt coat..